In a new season following so much turmoil and turnover during the summer, it’s a little difficult to not get caught up in the hype surrounding the Pittsburgh Penguins and their 11 goals in two games. Suffice it to say that so far, it would seem as though new GM Jim Rutherford made a lot of good calls in assembling this new Pens roster; and new head coach Mike Johnston is so far pushing all (or at least most) of the right buttons. By all accounts the new players are fitting in seamlessly. The revamped coaching staff is getting along great, and the plethora of assistant GMs are all on the same page. Alas, it is still VERY early in this season for Pittsburgh’s professional ice hockey team. For right now, its all hugs and high-fives in the Pens’ dressing room. That’s what 11 goals in your first two games under new management and coaching will do. In my season preview I made five bold predictions pertaining to the Penguins. 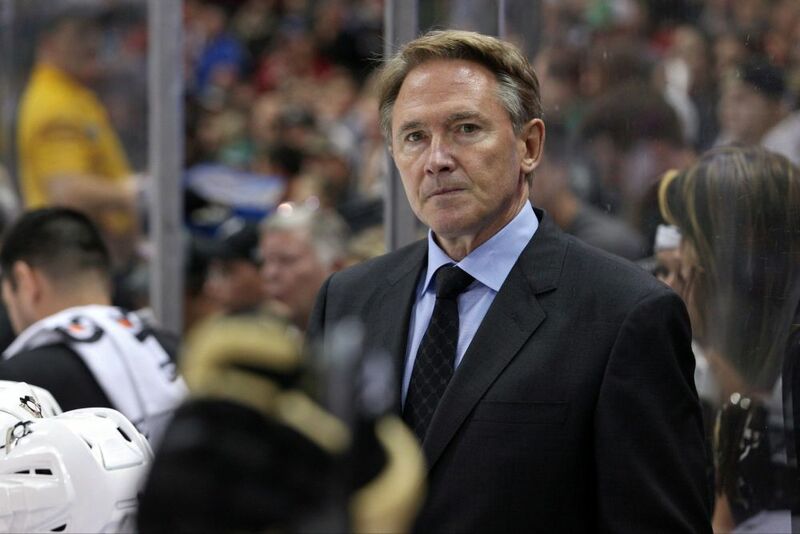 One of those was Mike Johnston not having a job by Christmas (at least not a job in the NHL). So far, from what I’ve heard through the beat-writer grapevine here in the ‘Burgh is that all is well in the head coaches’ office. The players are happy with Johnston’s style, both on and off the ice. What was perceived by many Penguins’ fans – due to lack of knowledge about the new bench boss – as a weakness, was Johnston not being firm and having little to no respect from the players. This misconception is also what many, myself included, thought led to the hiring of former Penguin tough guy Rick Tocchet. So far, that could not be further from the truth. Johnston is said to be a no-nonsense coach on the ice during practice. Gone are the days of ending a session with shootout drills, and ultimately, mustache boy of the month. In is a recommitment to system and team hockey. Johnston’s style is all about puck possession and puck support. While Dan Bylsma (and likely every NHL coach ever) stressed the importance of puck possession, there was little in the way of support. Under Johnston, the Penguins break out of their zone as a 5-man unit with options for the puck carrier, not five individual skaters trying to make a long read with the biscuit. While everything is coming up roses for Mike Johnston right now, the fact remains that current Detroit Red Wings head coach Mike Babcock will be a “free agent” next summer, and his desire to coach Sidney Crosby in the NHL is still very strong. Johnston can make it very tough on Penguins’ brass to let him go at season’s end with a strong showing in the Stanley Cup Playoffs. Nothing short of a solid effort (think six games, at least) in the conference final will do. But even that may not be enough, considering the allure of bringing in Babcock, who has already won two gold medals at the Winter Olympics with Crosby under his guidance. I still maintain that Johnston has stepped into a bad situation. Almost a lose-lose. 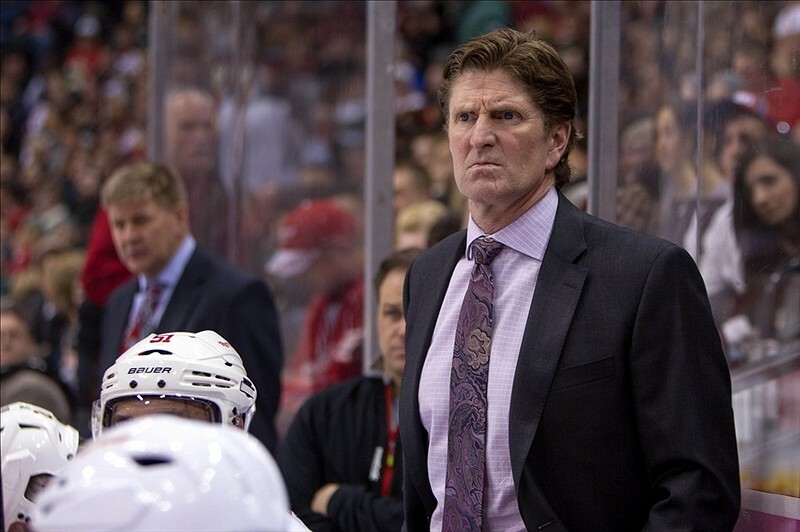 If the Penguins falter at any point, he’ll be vilified mostly due to his lack of NHL head coaching experience. If the Pens flame out in the playoffs once again, he’ll be looked at as the goat who couldn’t get through to the superstars on this team. And even if he can somehow survive all of that, things circle back around to the allure and appeal of Babcock. My expectations were, relatively speaking, low for this hockey team. Win the division by default. There is no one else who can come close to boasting the talent the Penguins have. In this case, the Pens can win based on talent alone. Flame out in the playoffs. Second round at best, because I don’t think Jim Rutherford will make the necessary trades (or win the trades he does make), and Johnston won’t be able to reel in the superstar egos on this team. Well, scratch that. Its only been two games, but these guys are playing. And they’re playing HARD. Crosby looks to be himself again. Letang has looked more responsible in his own end. Overall, the team appears to be having fun out there. Eleven goals in your first two games, with two wins, will do that. Call me crazy, but there just seems to be something there – at least for now – that has been missing for quite some time. An undisclosed injury during training camp. A still-undisclosed injury that he is now able to play through. A summer of nothing but quiet from Evgeni Malkin, in an otherwise noisy summer for the rest of the organization. Lets face it: no one was happy last summer after blowing a 3-1 series lead to the New York Rangers and being ousted from the Stanley Cup Playoffs sooner than expected. But “Geno” was particularly absent, and yet strangely talked about all summer long by those closest to the team. While most players go on hiatus after their season ends, they seem to manage to find a way back to their cities and make an appearance or two. He returns to Russia and spends his summer on the motherland’s lakes, fishing. So not hearing a peep from him all summer is not whats alarming. Its the way his silence was handled by the media in Pittsburgh, coupled with Mike Johnston’s trip to Moscow in July. That trip, it was widely reported, did not go well. My best guess here is that Malkin was frustrated at his team’s performance in the playoffs. Then came all of the management upheaval. Followed by the trade of James Neal, and ultimately Malkin’s perceived “demotion” from center to wing. In the end, it doesn’t really matter why he is unhappy, or the fact that he is unhappy to begin with. As currently constructed, this Penguins team isn’t far from being a contender for the Stanley Cup. But therein lies the bad news: Not being far also means not being a contender, period. Jim Rutherford can change that with one big move: trade for a top-6 winger. He has the parts to pull it off. This will come down to whether Rutherford & Co. have the stones to part with what it will take to get this done. What to do with Brandon Sutter? Who will be the odd forward out? Sutter will return to his role as the third line center, and the odd man out remains to be seen. I’m not going to give this away right now, but I have a trade in mind that on the surface may seem almost ludicrous, but it would make sense for the Penguins in both the short- and long-term. Also, it makes a ton of sense financially and long-term for the trade partner. So stay tuned. I assure you of this: IF Rutherford were able to pull of the trade of which I’m thinking, it would be hard to bet against the Penguins come playoff time.